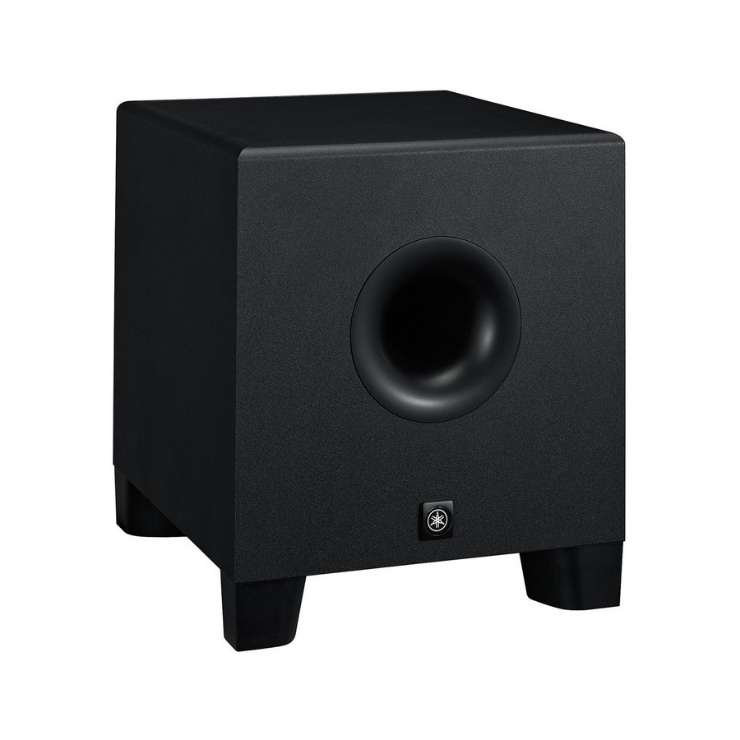 The HS8S is the perfect accompanying subwoofer for Yamaha HS Studio Monitors. The HS8S employs custom develop transducers designed to deliver exceptional sonic accuracy. The transducers feature an advanced magnetic field design, resulting the flow of the magnetic response. The resulting sound is powerful yet refined, ideal for reference-grade audio applications such as mixing and mastering. 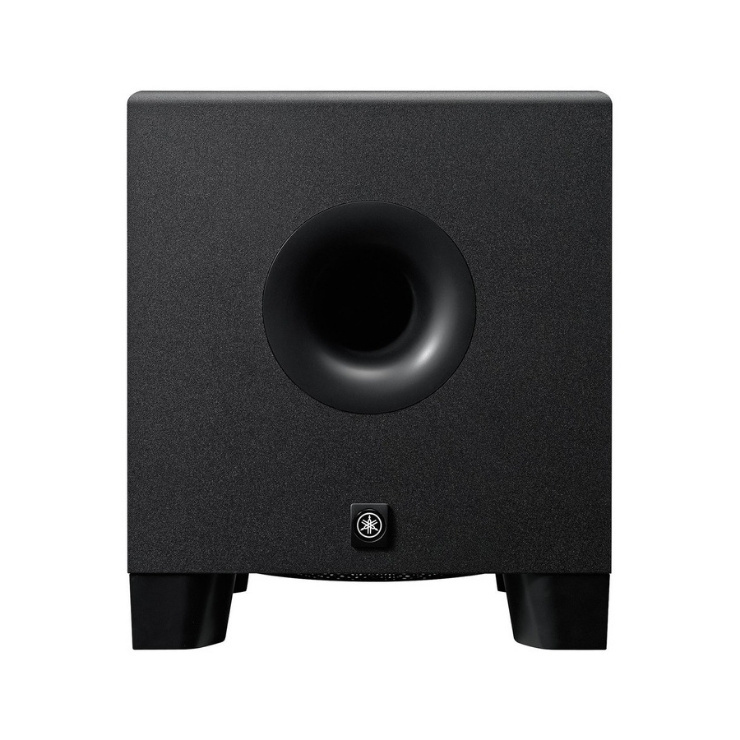 The confined frequency range spans from 22hz – 150Hz, focusing on the low-end response of your sound. The specialised design provides ultra-low distortion sound and a clear and concise image of your low-end sound. The subwoofer also includes a range of onboard controls designed to optimise the performance of the unit. The integrated speaker port reduces noise up to 60db for a clearer and more accurate sound. The rear of the unit features both a high cut and low-cut filter switches designed to attenuate their respective frequency bands for optimised performance in a range of acoustic spaces. The high cut control sets the cutoff of the output HF attenuation from 80Hz to 120Hz. It also includes a phase switch designed to adjust the phase of the output for added flexibility. The robust and sleek design is comprised of an a rugged MDF enclosure. The enclosure features three-way mitred-joint corners to eliminate unwanted resonance. The HS Series employs a premium-grade amplifier that has been matched perfectly to the transducers for optimised audio fidelity. 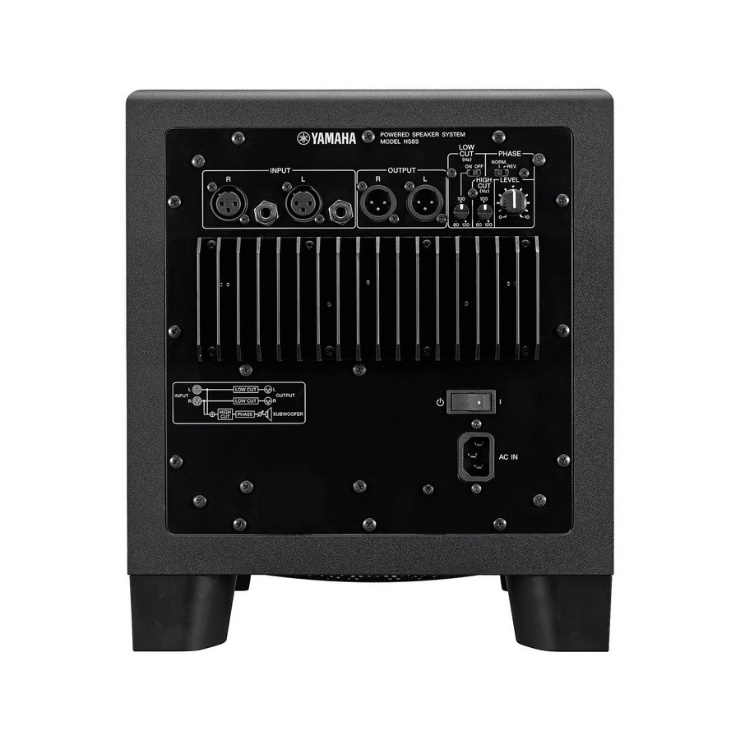 The rear of the unit features balanced XLR I/O as well as level and attenuation controls. The unit features 4 sturdy legs designed for maximum stability. The rugged enclosure ensures a long lifespan, acting as a workhorse for any studio.